Recycle your old, empty, green organics bin. 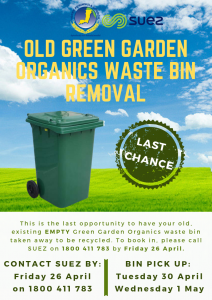 To book your bin to be picked up and recycled, contact SUEZ on 1800 411 783 before Friday 26th April. 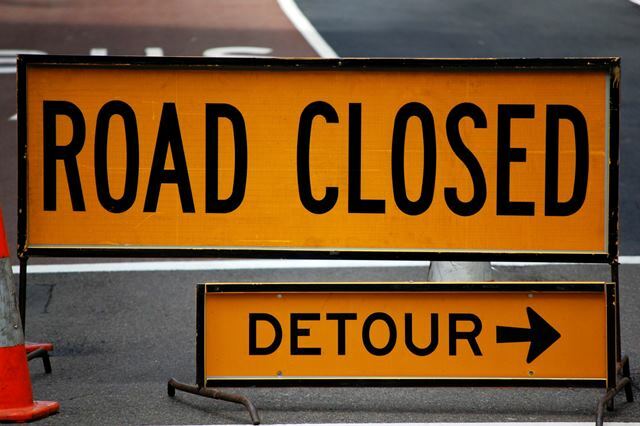 Bins are due to be taken away on Tuesday 30th April and Wednesday 1st May, 2019. A temporary front office arrangement will be in place, with access through the southern side of the Council Building.